Obituary for Sandra Margaret (MacLeod) Matthews | W. J. Dooley Funeral Service Ltd. 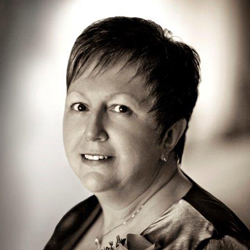 It is with heartfelt sadness that we, the family, announce the passing of Sandra Margaret (MacLeod) Matthews, age 63, on Wednesday, March 27, 2019, at home surrounded by her loving family. Born in North Sydney on April 4, 1955, she was the daughter of R.A. “Sandy” MacLeod and the late Margaret “Peggy” (Ferguson) MacLeod. In her early years Sandra worked as a Registered Nurse at the Northside General Hospital where those she cared for witnessed her kindness and dedication. Family was a key part of her life and she enjoyed everything that centered around them. Sandra is survived by her husband of 40 years, Charlie, her daughter and best friend Courtney (late Trevor) Smith, her father Sandy (late Peggy) MacLeod, her caring sister Christine (Terry) Brown, brother James (Pauline); two special nieces Megan (Kenneth) MacQueen and Jamie MacLeod; brother-in-law Sandy (Kim); sisters-in-law Pauline Kelland, Barbara, Mary (Angus) Phillips, Debbie Oickle (Spencer Young), Naomi Matthews and many treasured nieces and nephews. Besides her mother Peggy, Sandra was predeceased by son-in-law Trevor Smith; infant son Stephen, mother and father-in-law Jean and Les Matthews; brothers and sisters-in-law Charlie Kelland, Les & Emma Matthews and Robert Matthews. The family are extremely grateful to the VON, the doctors of Palliative Care and especially Susan MacKenzie for the wonderful care and support. As per Sandra’s wishes, there will be no visitation. A funeral service for Sandra will be held at 2:00 p.m. on Saturday, March 30, 2019 at St. Giles Presbyterian Church, Campbell Street, North Sydney with Rev. Ritchie Robinson officiating. Funeral arrangements are under the care and direction of W.J. Dooley Funeral Home, 107 Pleasant Street, North Sydney. In lieu of flowers, memorial donations may be made to the SPCA, Palliative Care Society, or a charity of choice. Online condolences may be sent to the family at www.wjdooley.com.